When contentious paternity (“custody/timesharing”) litigation arises, Florida courts are designed by statute to protect the interests of the children in the case and enter an Order in their best interest. To that end, children are very rarely permitted to testify before the Court, even though their interests are often the subject to that hearing; under rare circumstances, children will be permitted to testify and such testimony is avoided at all reasonable costs. The Florida Legislature and Florida Courts recognize the stress and emotional toll paternity litigation places on adults, who are typically more capable of handling the stress and emotions, but the children do not have the emotional and mental mechanisms to cope with the stress; furthermore, the children’s most reliable source for stability, the parents, are the subjects of the action and often so emotionally involved in the case that the parents are unable to provide objective emotional and mental support for children. Unfortunately, sometimes children can be the only witnesses to critical facts or actions of one, or both, of the parents. If this is the case, it might be impossible for a Court to make a fair and fully educated decision in the children's best interest without the Court having the testimony from the children. The Florida Legislature and Florida Courts want to insulate the children from litigation as much as reasonably possible yet provide the parties to admit all relevant evidence that can show what is in the best interest of the children. If this situation arises, Attorney ad Litems can be requested by one of the parties, agreed to be appointed by both of the parties, or Ordered by the Court to be appointed; Florida Statute §61.401 was enacted for the appointment of Attorney ad Litem. Attorney ad Litems are appointed to act as an independent attorney who represents the children in the same manner the litigants’ attorneys represent them. 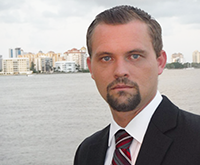 Unlike Guard ad Litems, Attorney ad Litems must be licensed, barred attorneys in the State of Florida. Their sole duty is to protect the legal interests of the children and will do so by acting as a legal representative. In Court, Attorney ad Litems will not be providing testimony on what is in the best interests of the children, that is the duty of Guardian ad Litem, but instead to ensure that the evidence rules are being followed and the legal interests of the children are properly represented. Attorney ad Litems can, and often do, participate in testimony by questioning witnesses relevant to the best interest of the children, will participate in any expert investigations related to children (such as Guardian ad Litem investigations, counseling, etc. ), and will often be able to call their own witnesses to testify as to what is in the best interest of the children. Attorney ad Litems can be a valuable tool in providing the Court the ability to make fully educated and fair decisions based on the voice of the children while insulating them from the stress and involvement of a paternity proceeding. Each Attorney brings a different background and different specialties, so choosing the right Attorney ad Litem for each case can be as critical as getting an Attorney ad Litem appointed.